The African statues and sculptures will easily approach to your decor. Rather than a simple ornament, without value or history, the African statues bring in addition to their aesthetic value the power to capture everyone’s gaze , causing a curiosity that evolves in the recognition of authentic beauty. As well as the masks, the African statues or sculptures, as well as an unquestionable artistic value, bring with them a true and antique story. Depending on the ethnicity they belong to, statues may have different meanings and uses. They may represent important figures of the past, recalled during the rites of divination in order to resolve difficult situations. In fact, the statue is associated to a strong spiritual power, which helps the individual or the community to deal with the adversities and the negativities that threaten social peace. The most striking fact about African statues is the essenciality of their forms, which is the visible representation of a higher concept. 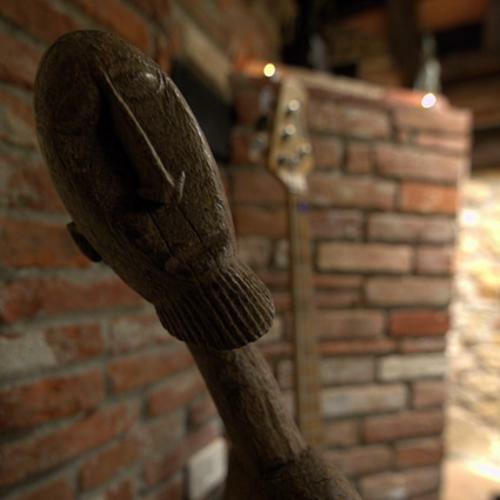 Everything is marked by rhythm that, in addition to African music, is well recognized in sculpture too, as if every African statue followed a musical motif, rather than representing real volumes. It seems, indeed, that African artists are constantly looking for the absolute, in a ritual where African statues symbolize divine spirit, satisfying two main necessities such as religion and politics. African statues reproduce spirits, ancestors, cultural heroes, deities and are involved in the preparations for the burial. Used in various religious rituals, for fertility or initiation ceremonies, for collective or private groups, the statues are strongly filled with magic; this concept is poorly understood in the modern Occident, where there is no animistic presence during everyday life. The importance of African sculpture lies in the historical continuity; statues are like books, which keep alive traditions, narrating the historical events of the various tribes. For this reason, you can describe a funeral as a great expression of African art, including dances, musical instruments decorations and masks. On the other hand, ancestor worship is different, because the rite becomes intimate and limited, requiring statues placed in special huts. In the well-known Dogon ethnicity, African statues are linear, solemn and marked by great dignity. Sometimes, they are depicted with their arms towards the sky, in order to invoke the rain, following the natural curve of the tree trunk from which they derive. These statues also depict the ancestors “tellem”; simple yet of high aesthetic value, they are positioned in series, with a schematic repetitiveness. Moreover, of great impact are the warriors on horseback Dogon statues, armed with spears to symbolize power, and also the statues of women working, or carrying a child in their arms, to symbolize motherhood. The Bambara, a big tribe formed by farmers, in the region of Bamako, has developed rich themes ranging from the statues of ancestors to those linked to the cult of the dead twins. The theme of the dead twins is also present in the Gurunsi tribe. The Dogon sculptures, whose iconography are different and variable, often develop the theme of the couple, showing the mythologized founders and ancestors. Then, there are the statues called ‘nommo’, with the arms up in the air invoking rain. Lobi sculptures are the expression of an original and isolated artistic group, because of their late settlement in the region. The male and female figures are sexually undifferentiated and they are intended to protect from disease or to promote good fortune. Even the statues of a couple in the sexual intent have a magical function, to help the owner in finding a partner. The Bidyogo art offers a statuary that goes from animal figures to fetishes. There are also dolls, which have the purpose of favoring the female fecundity. The sculpture by the Gouro tribe, less abundant than their masks, offers heads of child, gently sculpted, or isolated figures standing. Ashanti sculpture, instead, reaches its maximum peak of beauty with the funeral statuary; there are idealized portraits or full figures mainly in clay, placed on the grave to honor the deceased. 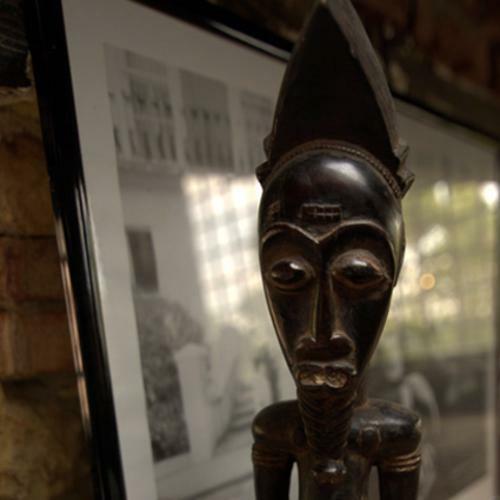 The Yoruba ethnic group, very productive, has developed wooden statues, especially representatives statuettes of male or female figures, called ‘ere ibeji’; these statuettes are connected to the cult of the dead twins. Ijo and Urhobo tribes, each one in their own way, have developed a statue of a fantastic animal; this kind of monster has the aim to watch over the family protecting it from the evil. The tribe Ibibio shows wooden funerary figurines representing the ancestors of the tribe; they are carved in a style that today we would define ad cubist. The tribe Igala has figurines representing the protectors of the family; although they have a small size, they are characterized by a strong expressiveness. The statues Jukun have both neck and cylindrical trunk, of the same diameter, while the short legs are divided by diagonal geometric carvings, almost forming pyramids. In its statuary, the Bwanga tribe, of the Bamiléké group, has developed a personal and exceptional way to express the movement: with a twist of the torso, or the inclination of the head, or with the position of the legs.